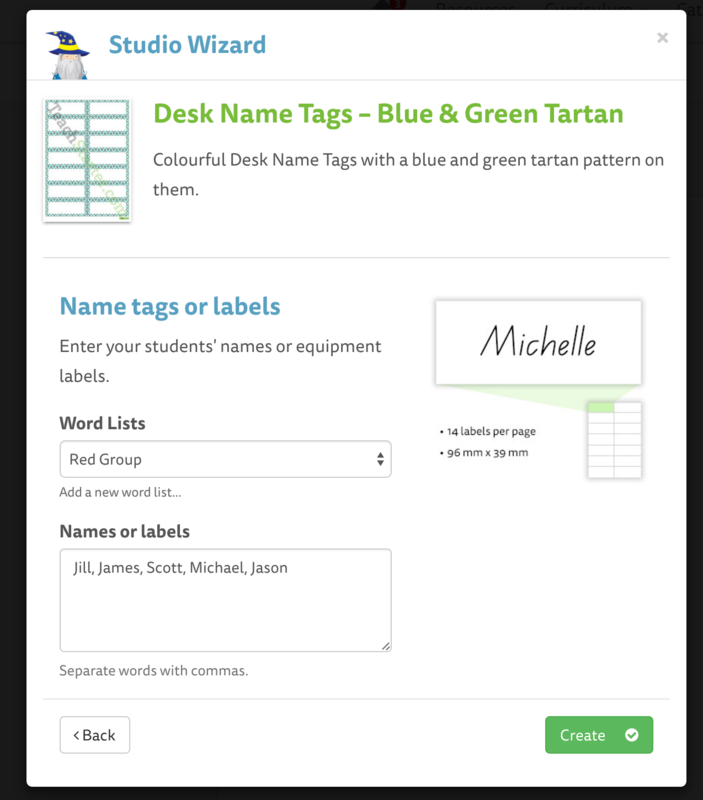 Teach Starter studio can add your students' names or word lists to resources automatically, making it extremely easy to generate name tags, desk plates, welcome signs and more. You can also set a default word list that pre-populates studio files, ready for you to use. Next time you open one of our templates in Studio, your students' names or word lists will automatically be added in, ready for you to download!